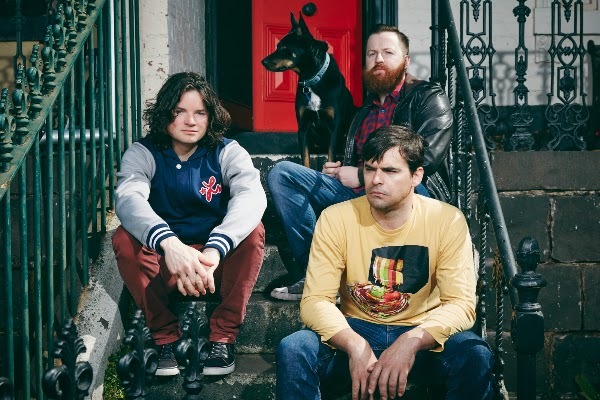 Super Best Friends have released a music video for ripping track 'Dog Whistling'. These punk dudes from Canberra have unleashed the song from their anticipated debut album 'Status Updates' (out via Gun Fever Records Friday March 20) . The animation for the new music video was made from 20-year-old Canberra-based graphic artist and animator Emma Fish. Catch Super Best Friends peddling their highly political head and heart pounding sonic wares on tour nationally through March and April. Album pre-orders (including psychadelic pug t-shirt) now available here. If you like what you hear and haven't heard of these local legends, catch them at one of the shows below!